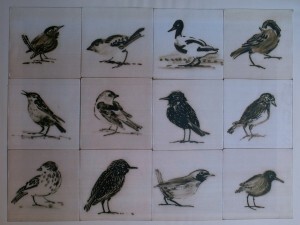 Corien makes tiles of various shapes, decorations and materials (porcelain and frost-resistant stoneware). 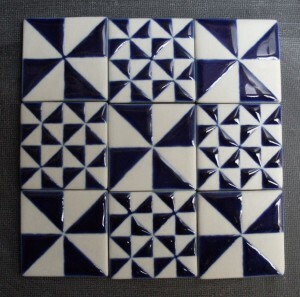 Geometric patterns adorn these tiles. 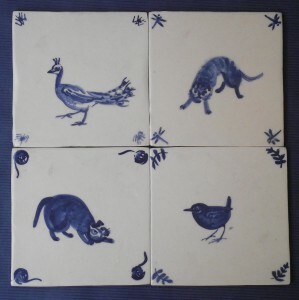 She also makes tiles for decoration by Gerda van Kersbergen. 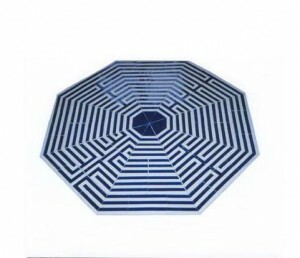 These pictures show labyrinths of different shapes and sizes. 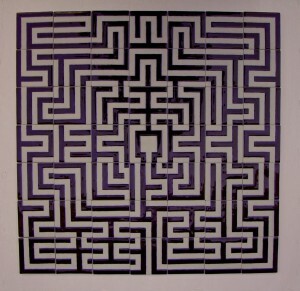 There is a square (110 x 110 cm or 75 x 75 cm) and an octagon (160 x 160 cm). 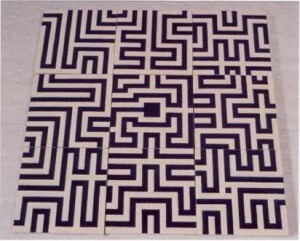 The patterns are applied with batik dipping technique or by covering sections with tape and applying the glaze with a brush. 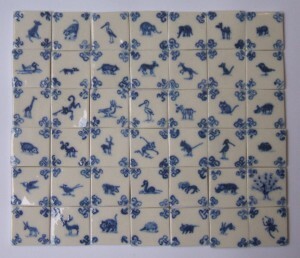 The small tiles, bottom left, are decorated with batik technique. For more information click here. 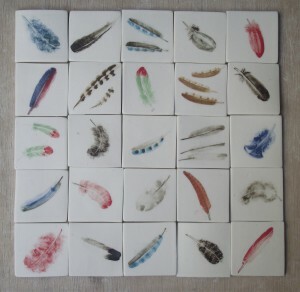 These collaborative pieces made with Gerda van Kersbergen consist of tiles decorated with animals, feathers and occasionally patterns. Gerda’s favorite subjects are birds and feathers.